We're lucky to work with artists and galleries whose own unique stories translate directly to their work and presentations. LeRoi Johnson (aka LeRoi) is a man of many stories. In one, he is a well-respected and successful attorney in Buffalo, New York. In another, he's the brother and former manager of famed funk icon Rick James. Most important to us, however, is the story of a talented lifelong artist whose diverse body of work reflects his own unique life experience and insight. I caught up with this multi-faceted artist in advance of his exhibition at Superfine! NYC, and what I found was a fascinating take on not only his own artwork but also the world at large. 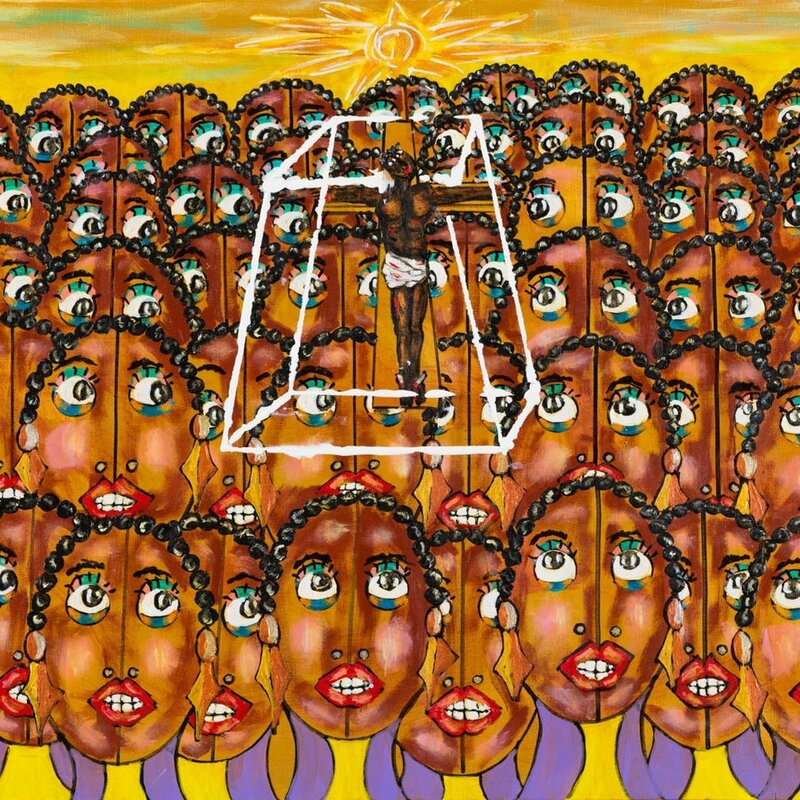 Read below to get inside LeRoi's head and learn about his work and inspiration, and why he's so excited to present his solo booth at Superfine! NYC this coming May. AM: Coming from a legal background, what challenges have you faced establishing yourself as an independent visual artist? 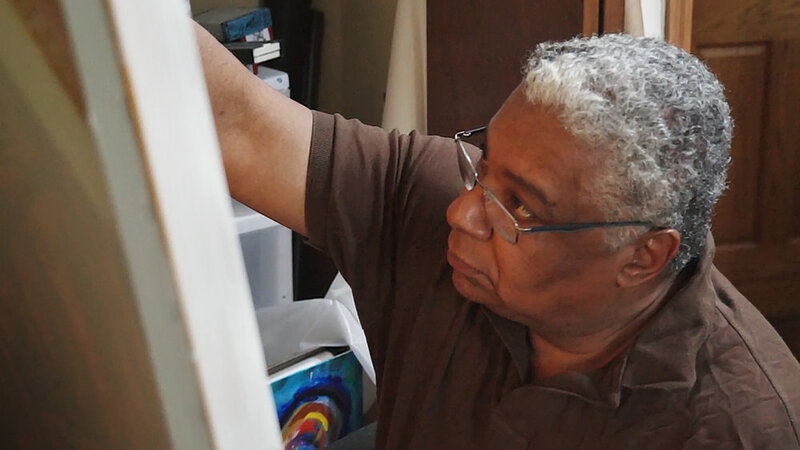 LJ: I have had very few challenges as I was an artist 20 years before I began law school. Many in the legal field are extremely talented and creative and open to creative experiences. Only sometimes do I require adjustments in scheduling, but for the most part I paint in the morning, evenings and weekends. This gives me my artistic freedom. Often inspiration comes from the essence of my client but not from work. AM: How have your dual roles/career(s) as your brother's manager and a prominent attorney influenced the actual content of the artwork you create? LJ: I was fortunate enough to have a famous brother. I never talk about him and my work because my work is what it is, aside from his fame. However, working with him enabled me to see the world and do things that most people either read or dream of. I was able to tour and visit over 60 cities a year around the world. Everywhere I learned about the people, their food and culture -- particularly their art. I visited museums and galleries in every major city in the US, Europe, and South America. I met major figures in the arts, government, and business. I believe this has given me a (unique) world view and I have integrated these experiences into my work. AM: Your work has been described as "Afrocentrist". Do you agree with this description, and why or why not? If not, how would you best describe your work? LJ: I believe there is a difference between African influences and Afrocentrism. My work has elements of both but is defined by neither. 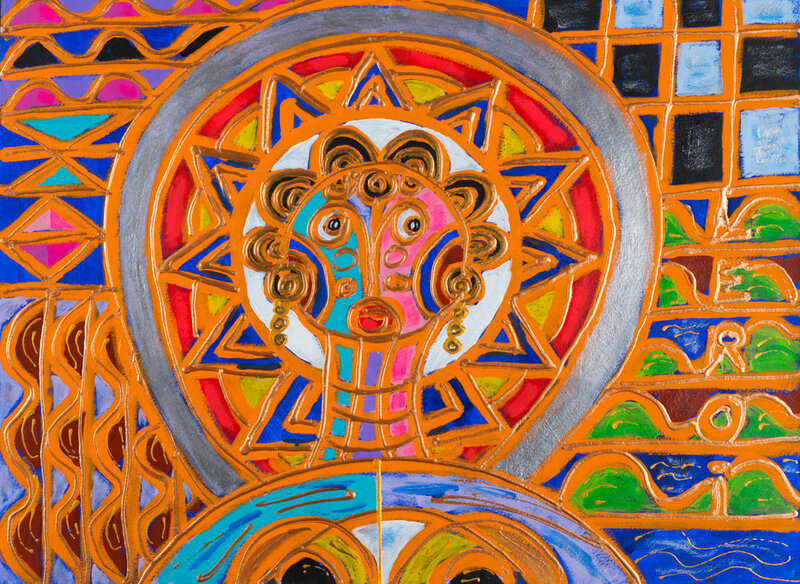 My work is message oriented, anecdotal and based on my worldly experiences as a black person. You may use Afrocentric but I prefer “electric primitive”. I’m not offended by Black being called black or white being called white. The market just doesn’t have enough art representing the black experience. AM: The political climate has been at best rocky over the past couple years, fueling old tensions - including racial ones. How can/do you use your voice as a black artist to engage with and tell the story of your own political leanings and feelings? LJ: My work does tell stories but it is not often the story you think it is. I leave the message for each viewer to decide. The best hint is in the titles. AM: As an independent artist with a story to tell, what excites you most about participating in Superfine! - The Fair in New York this May? LJ: Shows in NYC are always exciting and energetic. Participating gives me a chance to be a part of this dynamic group of curators, artists, collectors and art lovers. One never knows the outcome but I can’t think of a better platform. AM: Have you faced any challenges as an artist who didn't necessarily follow the usual path - art school, MFA, gallery - and if so, what words of advice would you give a young artist today? LJ: Being completely self taught to me has always been an advantage. I’ve learned through experience the best way to approach a painting. Since I have been drawing and painting as long as I can remember any challenges have long ago been forgotten. I am secure in my work and how I feel about it. I am well studied, traveled, and experienced. I have learned art through many years of experience and experimentation with colors, shapes, themes, and ideas. My only words for a young artist who is studied or self taught is to establish an identity and then paint, paint, and then paint and love what you do. AM: What role does story/narrative play in your work and how do you use your paintings to tell your own story? LJ: Story telling is my principal means of expression. I use it in my work to describe my life, dreams and visions. I use certain repetitive themes which aren’t what they appear to be at first glance. I leave it to the viewer to interpret the meaning. My work, in short, is a narrative of my life. AM: Who is your ideal collector and what thoughts/feelings do you want them to have when they're considering taking one of your works home? LJ: The ideal collector is one who loves my work and must have it. I consider each of my works something special. They are my children. You must feel the same way. And if you do we both will be happy. AM: Last, what are your parting words for someone considering coming to Superfine! NYC and collecting your work or the work of your fellow exhibitors? LJ: Enjoy the work, the venue, the artist and you will certainly regret not purchasing anything. I plan on enjoying everything I’ve spoken about. 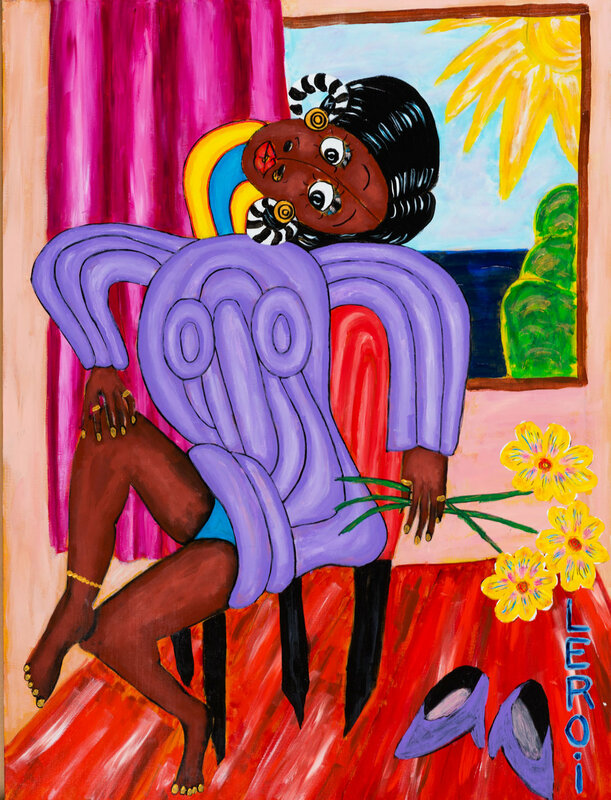 Peruse Leroi's work on our online E-Fair.